In the first post of this little series, we reviewed some of the history of ideas about the orderliness of Nature and how we discover and characterize it. Since the Enlightenment period around 400 years ago, the idea has been that Nature is an entirely material (physical) place that follows principles, or 'laws'. These are unexceptioned and universal. We may misperceive them, but unless we are mystical and believe in effects without causes, natural laws simply must exist. Biology would not be exempt from this. If life is made of chemicals (and nothing more), then life must follow chemical and hence physical laws. That means that a theory or law of life must be consistent with, and at most an extension of, such laws. Life can't be exempt from lawlike behavior, and there is no reason (that we know or that science accepts) for life to have laws of its own that are not a manifestation of the basic laws of matter and energy. But then what are those laws? 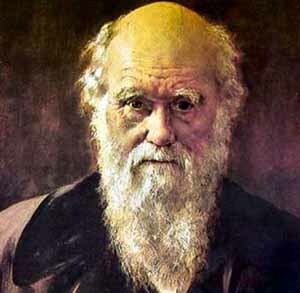 Darwin explicitly believed he had identified laws of life. 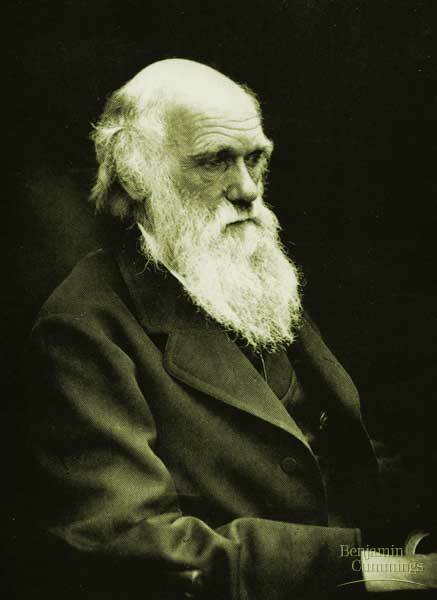 He was modest and circumspect, but he felt that life was based on modifiable physical units of inheritance, and in divergence from common ancestor, based on screening of divergent variation by the force of natural selection. This is Darwinian determinism, and even ideas like genetic drift are only modifications of its general principles. We've spent many posts arguing that this idea of evolution is overstated to the extent it invokes the tacit assumption that natural selection is the law of life. Gregor Mendel was trained, in part, by people developing a modular theory of atomic chemistry and he was trained to think in such integer-like units. His experiments revealed what to some extent he, and uncritically almost every biologist since, has taken to be fundamental laws of inheritance. 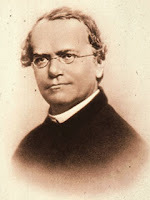 But the simple two-state ideas of Mendel, with concepts like dominance and recessiveness, confounds inheritance of traits with inheritance of DNA elements, and it exaggerates the simplicity even of the causal processes that are at its core, as we've also discussed in an earlier series of posts. But if Darwinism and genetic determinism are inaccurate or only partial characterizations of life, what are our criteria for interpreting causation? Do we have any? Do we need any? From a purely business point of view -- of doing experiments, getting results, and describing them -- we're motoring along in the life sciences, accumulating mountains of data and some general, at least statistical, generalizations about the nature of inherited effects, the nature of adaptations, and the genetic causal contributions to traits. But these have strong ad hoc components. We may know that, on average, most new mutations have small effects on traits, that are more often negative than positive if they affect fitness associated with those traits. But each case is different. Some mutations are really 'Mendelian' and clearly detectable by selection. Some traits that seem highly heritable manifest precious few such components. While this general pattern applies to plants, animals, and microbes, it is not very satisfying to say that traits have some general distribution of properties, but that we don't have a strongly predictive theory for a trait that works in general, as a classical-style law of life ought to do. Some, perhaps most, biologists are happy just to carry on in this way. But in fact without a strong theory it is difficult or, perhaps as David Hume would say, literally impossible to know when one has the facts and is correct about causation--and hence relevant prediction--in life. At present, the non-predictability is much more often the case than reliable predictability, except in some isolated natural or engineered artificial conditions in the laboratory. Others would argue that these are approximations to knowledge, or to truth, and that it is important to understand or discover what the real underlying 'laws' of life are. If they don't exist....well, they simply must!! But how can we reconcile the idea, that seems clearly true, that each case is by the very nature of genetics and evolution as we know it different, and at the same time that life is law-like? Can there be a law, consistent with the laws of chemistry and physics, that states that every case is different? Is our current understanding, stripped of some of its Darwinian and Mendelian ideology, adequate in that sense? Can it mean that, even if we do correctly understand the laws of life, prediction is going to be very limited--because uniqueness is part of the law of life? "The rhythm of existing things"